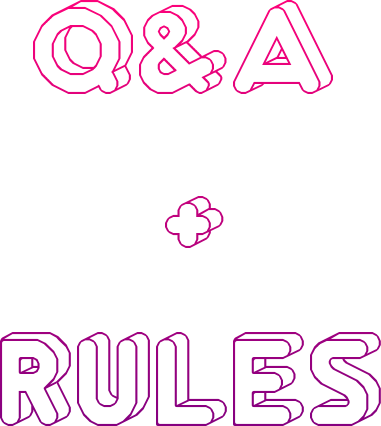 like the perfect time to give you an update on the rules, and answer your questions. Q: Who owns the blog? I started this blog back in 2008 as a way of celebrating hot buys and all the other real brands. It was also designed to help give more people a chance to own those coveted items or to win stardollars as well as make Stardoll itself more fun! While I do own the blog, I couldn't do it without my moderators (Agnes -Ashleybaby93, Judy - Judyellafairy and Anja - Ann_Devil) and all the other writers/judges and members who contribute. Q: Who are the writers, and what do they do? Our permanent writers can be seen on the sidebar - but they're not the only ones! If you see a post by someone that's not on the sidebar, they might be new, a guest, a former or non-permanent writer. 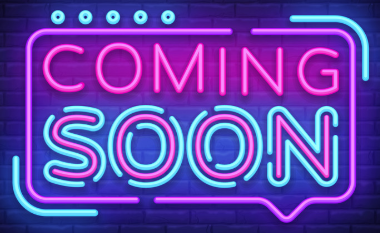 The permanent writers post about new STORE releases - whoever is online to see it first gets that job. Anything else they write is up to them, and must be agreed to by me. Q: Who are the mods and what do they do? All moderators ('mods' for short,) are in charge of making sure comments are respectful, and follow the rules. From banning rule breakers, to sorting out arguments, and getting rid of trolls, the mods keep everything running smoothly. Please do not hesitate to talk to either myself or one of the mods if you are unsure about the rules, or are worried about someone's comment. Q: What can't I post? And why not? Note - the chat page has its own rules, as explained below. Comps often have different rules, which will be stated on the relevant post. We do NOT allow links, including youtube, stardoll, and gifs. People abuse it, it's too difficult to moderate, and videos slow down Disqus. Edited images, including poses, backgrounds, and pngs, are NOT allowed in comps/raffles, unless stated otherwise. If is unfair on people without the skills or programs. But, you CAN post them on chat! Stay on topic - ie, don't post about your cat in a New Release post. The chat page will happily welcome any and all cat or off topic pics/conversation! Arguing periord..with moderators or each other. 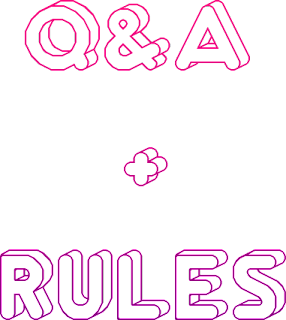 Q: What if I break a rule? If you're new here, or it's a minor rule, you'll get a mod reminder. If it's a comp rule, you will be disqualified until you post a replacement entry. If you break a minor rule a second time you will get a warning. If you continue to break the rules after being warned, you will be banned. If you discuss any of the BANNED topics, however, it's an automatic ban without a warning. Q: What if I see someone breaking a rule? Tell them NICELY! - Give them the chance to fix their mistake. They may not know the rules. Flag their post - this alerts mods to problem comments. *Flagging a post without cause will result in you being banned. You do not flag someone because you don't like them! Contact a mod - if they argue with you, or continue breaking rules, PM a mod or @them. Ignore them. - It might be hard, but the more you respond the more rules they will break - and you might end up getting angry and breaking some yourself. How to @ mods - reply to the problem comment with @modname - if they show up, then they have recently been online. If their names do not show up, try another mod, or PM them instead. Q: Wait, people are swearing. Is that allowed? You CAN'T swear at, or about someone. That includes other members, celebrities, and strangers. We allow it because the vast majority of users are adults, or older teenagers who do swear in their normal lives, or are at least exposed to it. If this concerns you, please contact a mod to discuss it. Please also do not abuse it. Q: But what about the Chat page? People talk about all sorts of stuff there! The chat page rules are different from the rest of the blog, and can be found HERE. The BANNED topics are banned everywhere, including chat. Chat does allow sharing edited images (if declared,) as well as off-topic comments, and general chat, unlike the rest of the blog. Because of this, we are a lot more lenient with the chat page rules than the regular. However, there are additional rules regarding sensitive topics that only apply on the chat page. If you're ever unsure - ask a mod! That's their job, after all. Q:How can I find the chat page? On a laptop, the easiest way to find them is to click this button. 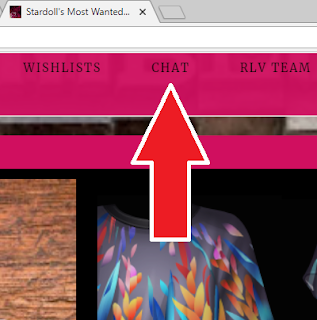 The current chat page will be the one with the highest number. You can also search 'Weekly Chat,' and again select the post with the highest number. Q:How do I know if I've won something? How do I get the prize? Why don't I have it yet? Where do they come from? Winners are announced one of two ways - either in a separate post, or by tagging the winners on the original competition. Make sure to check your inbox/notifications on Disqus, and check back regularly. Prizes come from two places - either the Writers' own pockets, or from a sponsor. How you claim your prize depends on the sponsor. You may either need to reply to a tagged comment or the winners post with a wishlist. Or, you may be asked to leave a comment on the sponsors' guestbook. Beware - if you don't claim most prizes within 3 days, it may be forfeited to someone else. However, it may take a while to receive the prize - different time zones, busy lives, and reliance on sponsors mean it may be delayed. Please allow at least a week for regular prizes. However, it could take longer. Gift codes or large prizes can take a month or more depending on availability and other factors. If you don't receive your prize in a timely manner, a simple mice reminder is welcomed. It may have just been an oversight. We do so many comps here it is sometimes hard to keep track of everything. Q: Wait, what's a sponsor? Sponsors are people who provide prizes for competitions and raffles hosted by the blog. Sponsors must be willing and able to give away their offered prize, regardless of who wins. Sponsors can participate in the competitions they sponsor, as long as they are not also a judge, but will not receive a prize if they win. To sponsor a comp with stardollars or to donate just contact me (emorox4eva) on Stardoll or one of the other mods with the amount. It will be paced into our prize account and you will be recognized when using those funds to pay a prize. Any donations are welcome as all prizes are generally funded by myself or the writers. We have partner blogs - other stardoll-themed blogs run by those who chat, write, and moderate here! If you are interested in partnering your blog, contact Jenna. SMW has a club! It's just recently restarted, so visit and help it become active again! SMW's original chat was a box on the sidebar, rather than in the comment section. 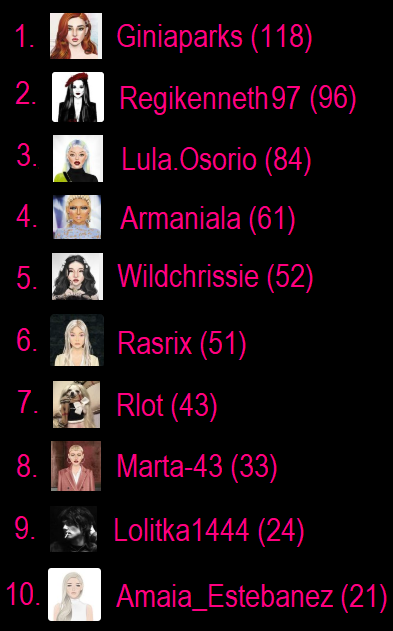 The top commenter is currently Lula, with 15054 comments and counting ! Hopefully that answered a few of your questions - if you have more, feel free to ask them below! A mod or writer will answer you if they can. WEEK 2 (9/23/18 - 9/29/18) LOOK BOOK WINNER! STYLE US COMP - WIN UP TO $400SD! HB GUCCI BOOTS POLL-WINNER ANNOUNCED!!! HB VETEMENTS DRESS POLL - WINNER ANNOUNCED! Fashion week challenge: Ciao, Milano! NEW NELLY FLOOR - WINNER ANNOUNCED! WEEKLY STARCOIN CHALLENGE - WINNER IN COMMENTS! HB SADDLEBAG IS NOW AVAILABLE + GIVEAWAY! © Stardoll's Most Wanted... | All rights reserved.